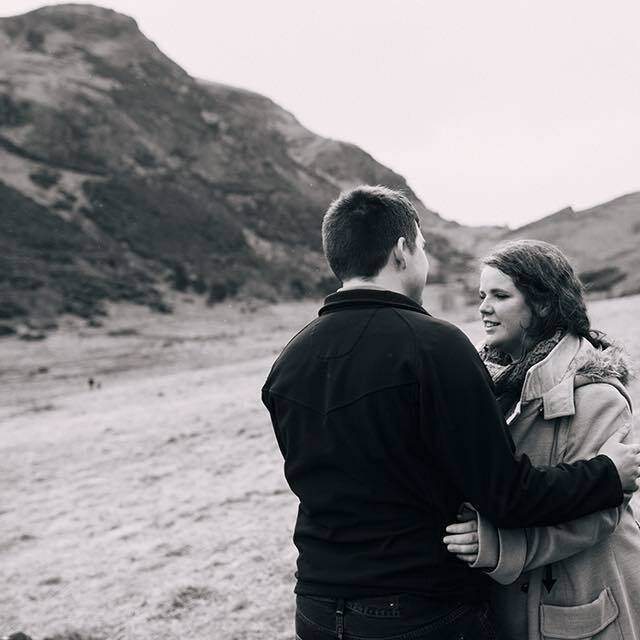 My husband and I don't have a car; in fact, I don't even have a driving licence. 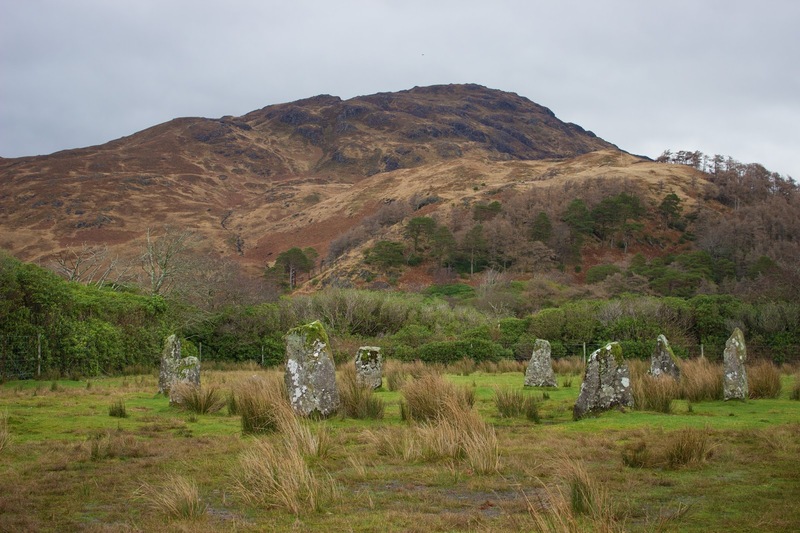 So when we got the opportunity to borrow one over the Christmas period, my husband suggested it would be the perfect opportunity to make a trip to a place I'd never been before: the Isle of Mull. If anyone knows me, they'll know that I will take any opportunity to go on a ferry. My anxiety is ridiculous: I close my eyes when my husband overtakes cars on country roads, I panic that my train is about to come off the tracks when it goes round bends, and I spend entire journeys convinced that my plane is about to drop out of the sky - but for some reason, I am always comfortable on a boat. In fact, the only thing I worry about is my overwhelming urge to throw my phone off the side...! 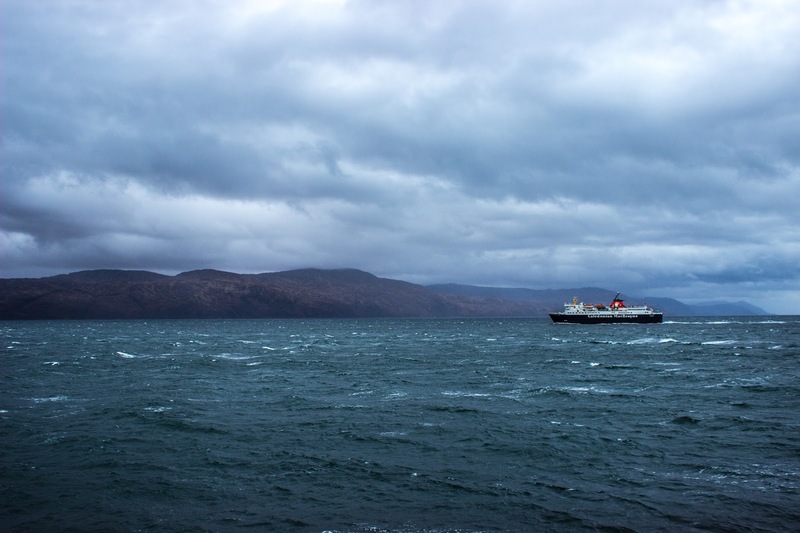 The ferry from Oban to Craignure, a small village on the east coast of Mull, only takes about 45 minutes, but I enjoyed every second. There's just something comforting about water for me. Our hotel (the lovely Western Isles Hotel) was in the biggest settlement on Mull, Tobermory. Our room had a sea-view over the Sound of Mull, and my husband was over the moon about waking up to the sight of boats every day. 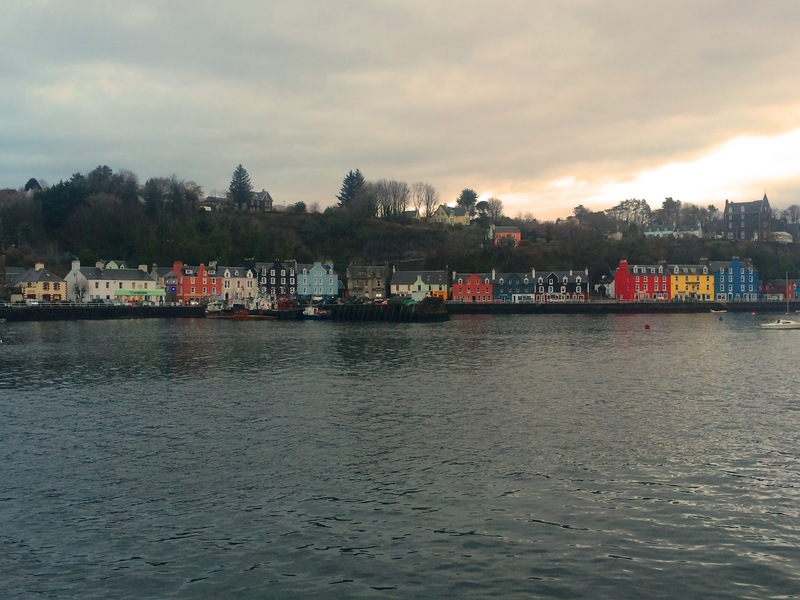 Even though I was roughly 12 when it first came on television, I've seen way more episodes of Balamory than I'm comfortable admitting to, so I was excited to see the colourful houses along the harbour-side. Tobermory is a lovely, friendly little town, with a whisky distillery and Europe's first catch-and-release aquarium, which I would love to have visited, had it been open. 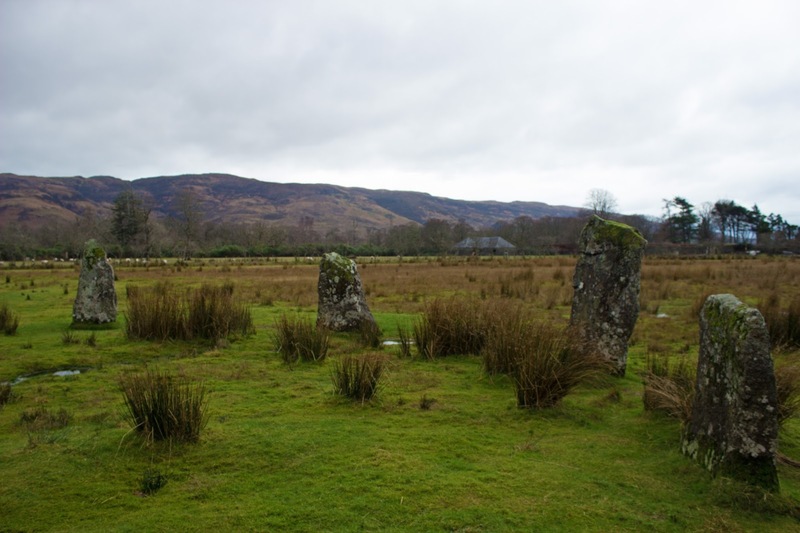 One thing you should know about Mull in January: absolutely everything even remotely touristy is shut (most attractions close from mid-October to April). This probably isn't surprising when you take into account the second thing you should know about Mull in January: it's absolutely freezing. I usually have no issue with the cold - I'm the kind of weirdo who prefers rain to most kinds of weather, and my hands stay warm no matter what the temperature is - but even I couldn't deny how chilly it was. However, it's also stunningly beautiful in January. 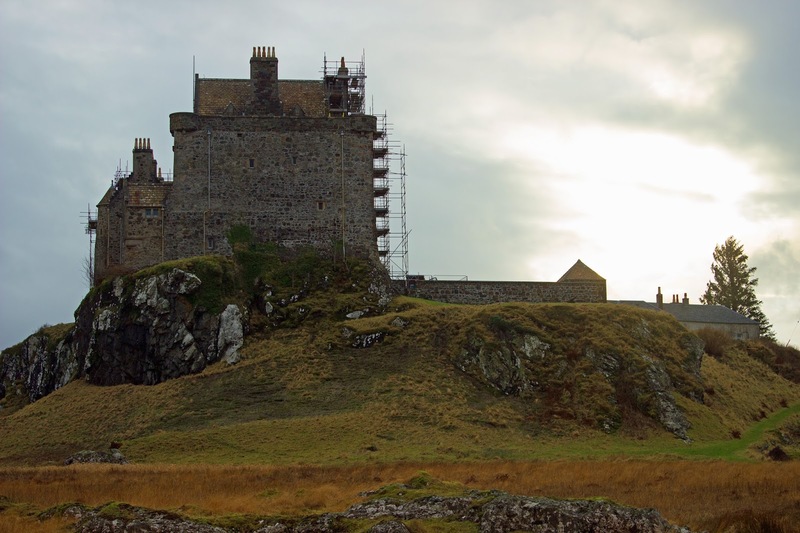 Despite the fact it was one of the visitor attractions that was closed over winter, we decided to go visit Duart Castle, a 13th century castle that is the seat of Clan MacLean. I'm a massive medieval history fan, and any kind of stately home, palace or castle is guaranteed to interest me. 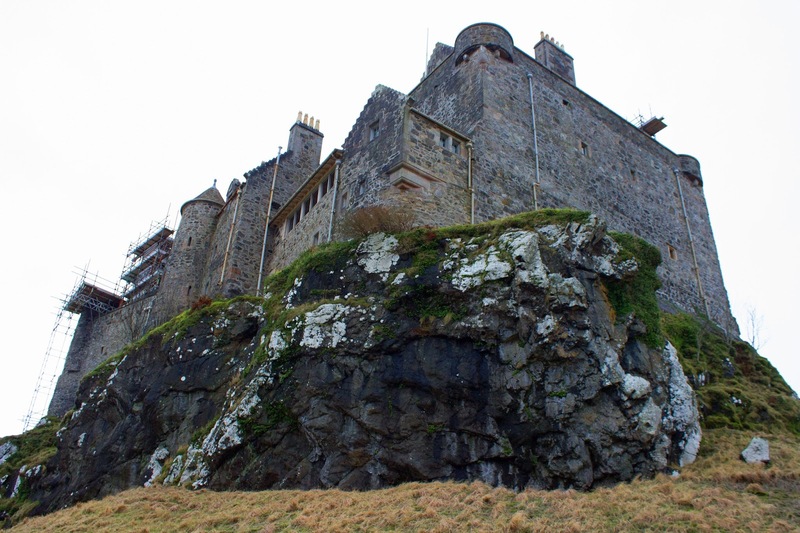 From what I've seen online, Duart Castle looks well worth a visit (when it's open!) and I'd definitely go back. 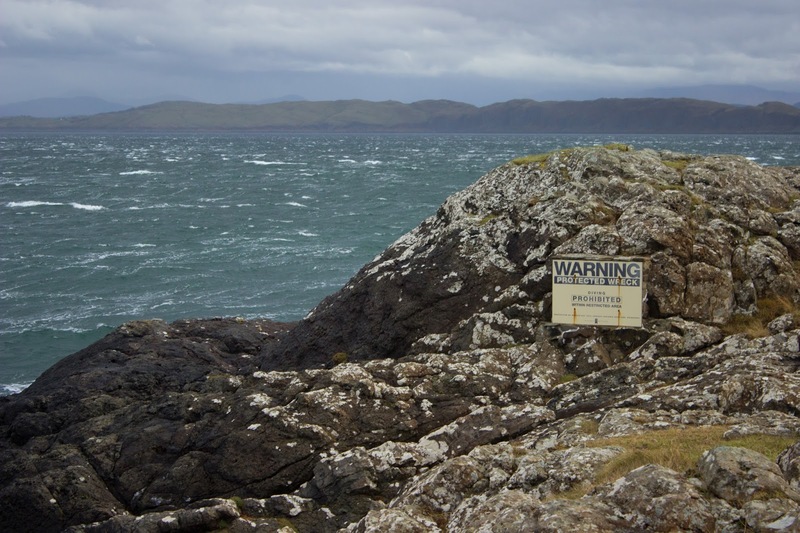 As it was, we battled bitterly cold winds to have a quick wander down to the edge of the water. Close to the castle, the water hides the wreck of a small 17th Century warship. The ship is presumed to be the Swan, the last ship to be built for Charles I. The Swan was part of a small number of vessels from Oliver Cromwell's fleet that attacked the Royalist stronghold of Castle Duart, but she sank in 1653. The site is now protected, although some items such as a pocket watch, coins and military artifacts have been recovered by divers over the years since it was discovered in 1979. To be completely honest with you, the cold was quickly too much for us, so we jumped back in the car and headed along the south of the island. 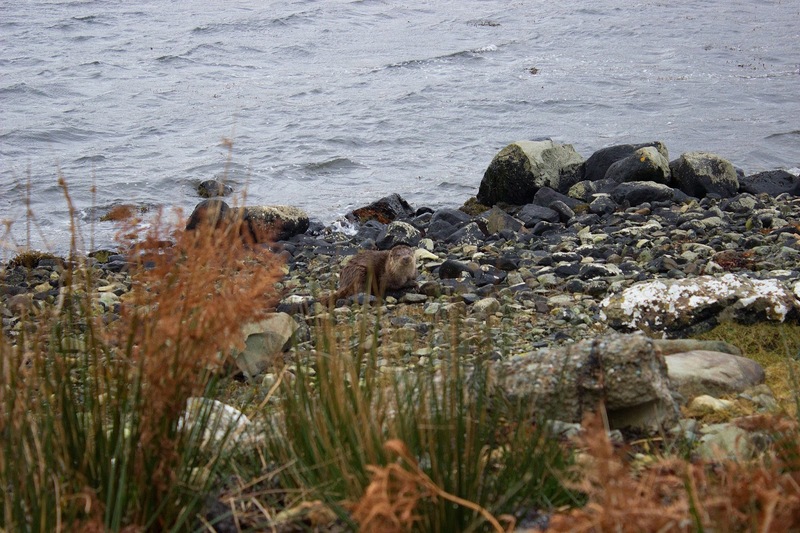 On the way to our next location we had to make two "emergency stops" - first for a stag that was chilling by the side of the road, and secondly when I noticed an otter swimming over to the shore. 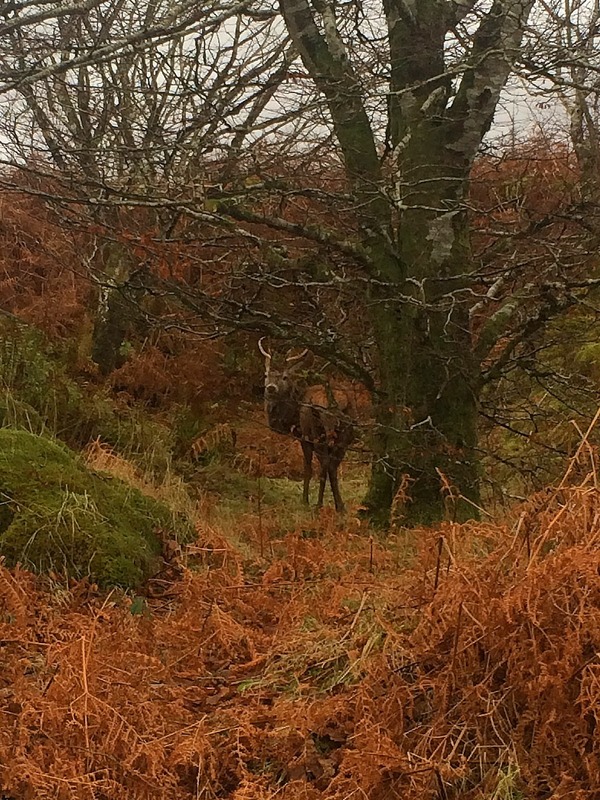 The tourist information for Mull always has a heavy emphasis on their wildlife, and we certainly weren't disappointed. 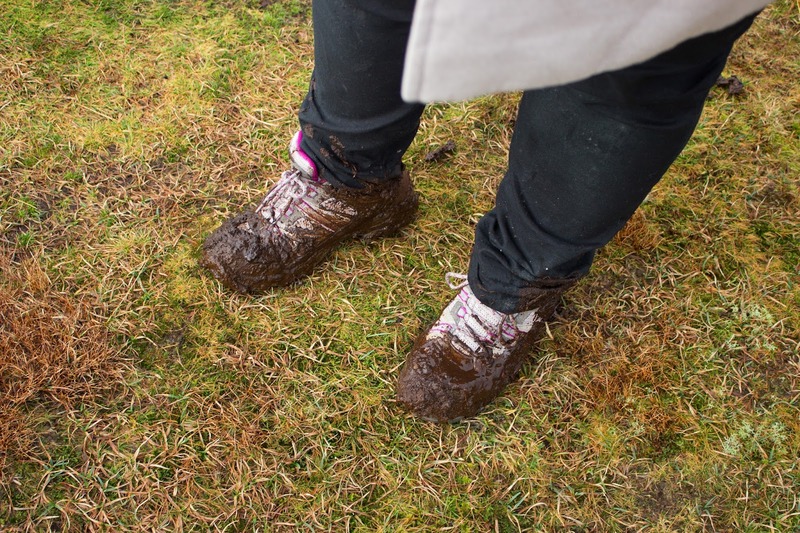 However, I was muddy and cold, so we cut things short. 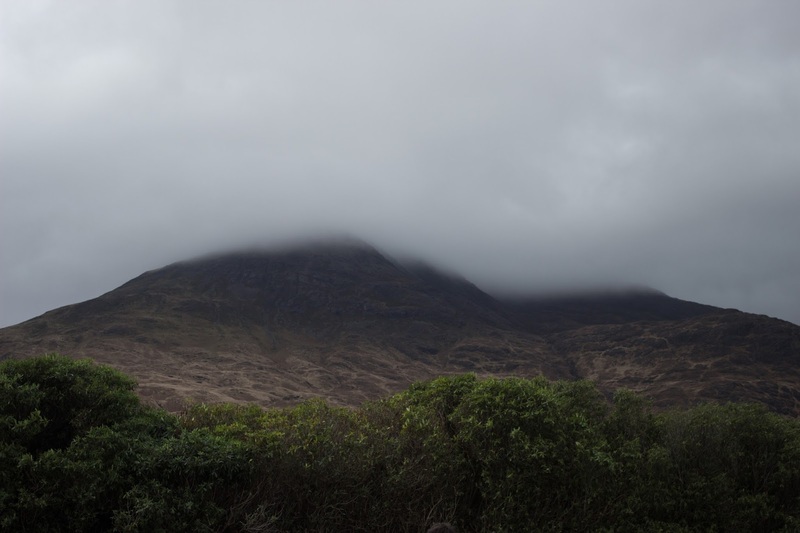 From Lochbuie, we headed further along the south of the island, but that's a story for another day.